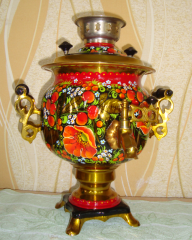 The samovar is electric, 3-liter. 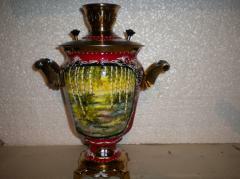 The decorative list manually is applied on a surface. The product is varnished. 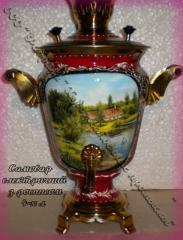 Such painted samovar will be fine decoration of an interior and the irreplaceable assistant at tea drinking in the bosom of the family and dear visitors. 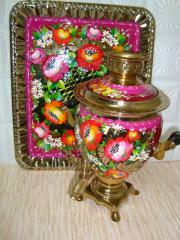 Samovar electric 4kh liter with a list. 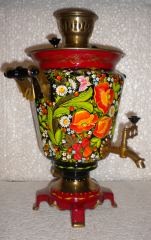 Samovar electric 4-liter with a list. 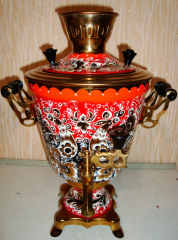 Samovar electric 3-liter with a list. 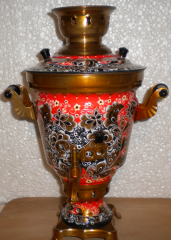 Samovar electric 3-liter with a list No. 6. 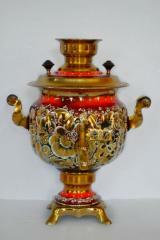 The samovar is electric 3-liter, No. 5. 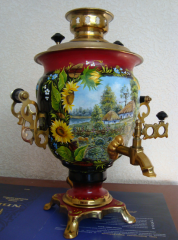 Samovar electric 3-liter with a list of "Bird". 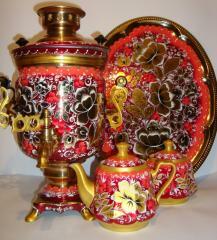 Samovar electric with an art list No. 1. Set tea of 16 objects, No. 2 "Indian summer". 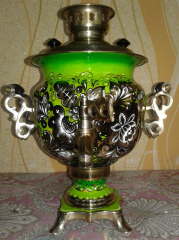 Unbelievable price on Samovars in Chernigov (Ukraine) company Fabrika Hudozhestvennye promysly, OOO. Wide choice of quality products at affordable prices.